Language: Mary Elizabeth MacFarlane spoke English. Language*: She spoke Scotch Gaelic. Name-Comm: Her common name was Elizabeth. Biography*: The 1901 Census says that Elizabeth could both read and write in English, but not French. Her native tongue was Gaelic. She was in school for eight months in 1901. [S265] April 16, 1901 Canada Federal Census, 101 Newbury Street, Boston, Suffolk, Massachusetts, USA. [S9] Births, Church Record, June 1977 to September 1944 St. Joseph's Church, Margaree, Records, page 24, line 6. [S653] Catholic Cemetery, Inverness County Nova Scotia, online unknown url, Headstone of Mrs. Marie DeVincent. Ancestry.com. New York, New York, Extracted Marriage Index, 1866-1937 [database on-line]. Provo, UT, USA: Ancestry.com Operations, Inc., 2014. 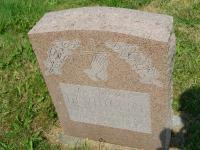 [S653] Catholic Cemetery, Inverness County Nova Scotia, online unknown url, Headstone of Marie DeVincent. Language*: Catherine B. MacFarlane spoke Scotch Gaelic. Name-Comm: Her common name was Katie B. Language*: Malcolm MacFarlane spoke Scotch Gaelic. [S100] Obituaries from The Casket Newspaper, 1852 - present, Obituary of Christine MacFarlane, 82-1934-34-7. Married Name: As of circa 1877,her married name was Ronan. [S389] Marleen (MacDonald) Hubley, "Ronan Family," e-mail to Donald James MacFarlane, 10 Jul 2003, Sheet B, e-mail of August 24, 2003. [S100] Obituaries from The Casket Newspaper, 1852 - present, Obituary of Patrick McFarlane, 8-1860-43-3. Name-Comm: His common name was The Bard. Gillis – Sad was the news spread around on the morning of Sept. 23, 1929, that Malcolm H. Gillis, Upper Margaree, was dying. Father Chisholm was soon at his bedside, administered the last rites of the Church, and he died a few hours later in his 73rd year. He had a light attack of paralysis a year ago from the effects of which he never completely recovered. Mr. Gillis began teaching school when quite young, and followed it up, though not continuously for some forty years when he was put on the pension list. At the same time he had charge of the homestead which he managed skilfully(sic), making considerable improvements thereon until failing health obliged him to retire from active work. He ranked high as a musician, his performances on the violin being exceptionally good, often winning prizes at competitions all over the country. He was church organist for many years often making great sacrifices in order to teach sacred music to young people in the parish. He composed many songs of considerable merit in both English and Gaelic. He immortalized his native district in “Croic us Glinn a Bhraighe” a song that is very popular whereever(sic) the Gaelic language is spoken. Many a gathering he enlivened and cheered with music and song and his company was always sought after. He was hardly ever heard uttering a cross, or an offensive word and he made hosts of friends wherever he moved. he was twice married, first to Mary McFarlane, issue one daughter, Mrs. John Dan Gillis, Upper Margaree. His second wife, who survives him is Margaret McFarlane, issue 17 children, two of whom died in infancy, Minnie and Dougald died of the “flu”; John Joe of pneumonia; and the following are living: - Mrs. John Alex McFarlane, Scotsville; Mrs. William Cocker, Framingham; Mrs. A. J. MacIntyre, Boston; Hugh in New Bedford; Alex in Boston; Annie, Agnes, James, Malcolm, Ambrose, John A. and Angus B. at present at home (the last two arriving from Boston and New York one day late for the funeral.) One brother Angus in Allston and one sister, Mazie at home also survive. The funeral cortege was a large one many people coming from far and near to pay their last respect to their departed friend. The mournful strains of the piobmhor on the shoulders of Allan McFarlane reverperated(sic) among the hills that he loved he loved(sic) so dearly as the procession wended its way from his home to the church. Requiem high mass was celebrated by rev. R. H. MacDougall, Margaree Forks, while in the sanctuary were seated Father Chisholm, pastor, and Father MacKeough, Tracadie while Father Cormier, Margaree ably assisted the choir. Father Dougald McEachern, Arisaig was obliged to return home the day before. The death of Malcolm Gillis has left his friends the poorer and his place is hard to fill (sic) May his soul rest in peace. Montreal, P. Q., Oct. 12, 1929. “A man he was to all the country dear.” The stranger and wayfarer, yes, everybody found welcome, entertainment and genuine hospitality at M. H. Gillis’. He was a poet of no mean order, a first class violinist, and an excellent entertainer in every way. And to think that we will no more hear his musical voice; no more listen to the strains if his violin and no more enjoy his ready but inoffensive repartee. Oh! it is sad! He will be missed in the community in which he lived, he will be missed by the people of the county of Inverness, and beyond it and he will be greatly missed by your humble servant. Eternal rest grant him, O Lord, and let perpetual light shine upon him, Amen. [S100] Obituaries from The Casket Newspaper, 1852 - present, Obituary of Malcolm H. Gillis and letters commenting on the obituary. [S861] Ancestry.com, online www.ancestry.com, 0861 - 2468 - Malcolm Hugh MacLellan.docx. [S506] Robert Joseph Gillis, Two Gillis Families, page 124. [S5] Marriage, Church Record, November 1884 to September 1935 St. Joseph's Church, Margaree, Records, page 88, line 21. [S341] Registration form to Gathering 2001 Committee, August 3, 2001, Sheets 16, 42, 60, 62. [S100] Obituaries from The Casket Newspaper, 1852 - present, Obituary of D. D. MacFarlane, 1950-17-2. [S100] Obituaries from The Casket Newspaper, 1852 - present, Obituary of Mrs. John A. MacFarlane, 120-1973-31-13. [S100] Obituaries from The Casket Newspaper, 1852 - present, Obituary of Mrs. Donald J. Gillis, February 27, 1947. [S861] Ancestry.com, online www.ancestry.com, 0861 - 2468a - Malcolm Hugh Gillis.docx. [S890] 1921 Canada Census, Gillis, ID# 2468. 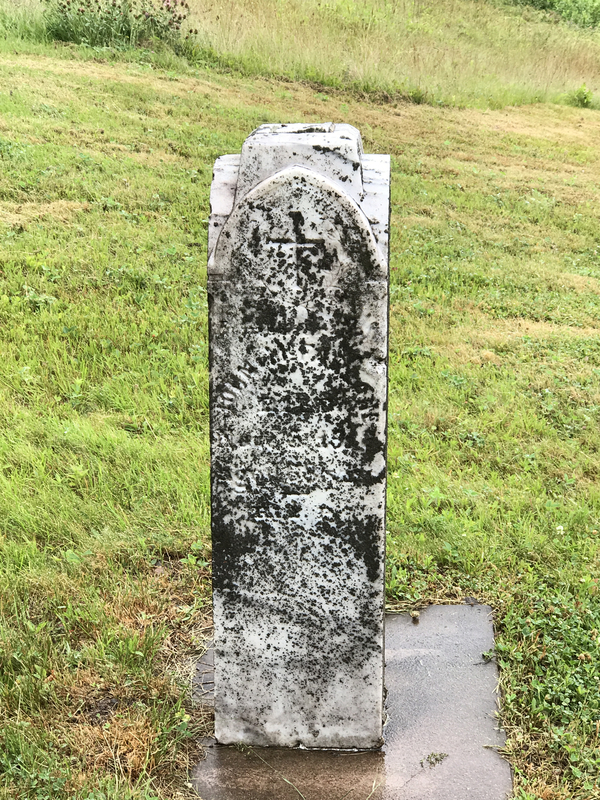 [S489] Donald James MacFarlane, St. Joseph's Church Cemetery, S. W. Margaree, Row 2, plot 9. Language*: Mary Ann Gillis spoke Scotch Gaelic. [S9] Births, Church Record, June 1977 to September 1944 St. Joseph's Church, Margaree, Records, page 32, line 10. [S420] Obituaries from The Oran Newspaper, Obituary of Hugh Angus MacFarlane, December 31, 2003. [S877] 1921 Canada Census, McFarlane # 2457. [S861] Ancestry.com, online www.ancestry.com, 0861 - 2470 - Mary Ann Gillis.docx. [S100] Obituaries from The Casket Newspaper, 1852 - present, Obituary of Mary Jessie MacFarlane, 110-1962-19-5. [S426] The Boston Globe Newspaper, Obituary of Mary E. MacDonald, December 2010. [S100] Obituaries from The Casket Newspaper, 1852 - present, Obituary of Malcolm V. MacFarlane, 1987. [S709] Diocese of Antigonish, Nova Scotia, Canada , Baptismal record of Margaret Ann Campbell, page 278. [S100] Obituaries from The Casket Newspaper, 1852 - present, Obituary of Mrs. John A. MacFarlane, 101-1960-32-2. [S709] Diocese of Antigonish, Nova Scotia, Canada , Baptismal record of Margaret Ann Campbell, page 277. A highway mishap near his home in S. W. Margaree culminated in the death of George Bernard MacFarlane, 23. 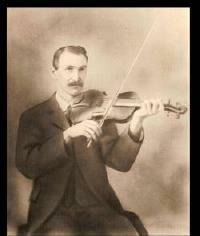 Mr. MacFarlane was born at S. W. Margaree on Dec. 22, 1938, the son of John Joseph and Ruth Carroll MacFarlane. In the last few years, his brother Hugh was drowned in the Margaree River, his sister Margaret lost her life in a fire that destroyed the family home. Two other children died in infancy. Surviving members are; Rev. Ronald MacFarlane S.F.M. who was ordained to the priesthood last August, Donald a seaman with the Shell Oil Company, John, Peter and Gerald at home. Anne a student at Margaree Forks and Helen student at St. Joseph's Hospital, Glace Bay, as well as his parents. MacFARLANE, Hugh Angus - 80, Highland Drive, Antigonish. After a lifetime of generous and quiet commitment to family, country and community, Hugh MacFarlane passed away December 26, 2003, surrounded by family, especially his beloved grandchildren. Born in Upper Margaree on January 9, 1923, he was the eldest son of the late John Alex and Mary Ann (Gillis) MacFarlane. Margaree. Always interested in the co-operative movement, he took a seven year hiatus from the car business and lent his talents to co-operative retailing. His passion for automobiles was never far away and in 1954 he moved to Antigonish and joined the firm of MacEachem Motors. Later on he acquired his own Automotive Service Center on Post Road, Antigonish. He retired in 1985. He was a past president of the Royal Canadian Legion, Branch 59, Antigonish, a member of St. Ninian's Parish and was an avid bridge player and fisherman. Hugh MacFarlane was predeceased by his wife, Elizabeth "Betty" (Gillis). He is survived by sons, James ( Diane), Halifax; Hugh (Tessie), Antigonish; John (Debbie), Montreal; David (Mairi), Antigonish; daughters, Anne (Robert), Montreal; Christine (Grant), Antigonish; grandchildren, Craig, Elizabeth, Abigail, Catherine, Jane Anne, Rebecca, Eric, Steven, Mark, Chelsea, Krista, John, Caitlin, Samantha, Melissa. He is survived by brothers, Dougald, Halifax; Douglas, Boston; sisters, Mary, Boston; Margaret, Scotsville; Sister Catherine, Congregation of Sister of St. Martha, Antigonish. He was predeceased by brother, Malcolm; sister, Janet; son-in-law, Peter Vicars. [S100] Obituaries from The Casket Newspaper, 1852 - present, Obituary of Mrs. Betty MacFarlane, 125-1978-32-8. [S584] Obituaries - Selected Obituaries of People of NS, See origional obit in source # 596. [S100] Obituaries from The Casket Newspaper, 1852 - present, Obituary of Hugh Angus MacFarlane, 31 December 2003. Name-Comm: Her common name was Betty. [S308] Margaret Ann (Gillies) & Allan James Gillis, A Genealogy of the Gillis Family of River Denys Road, page 46. [S308] Margaret Ann (Gillies) & Allan James Gillis, A Genealogy of the Gillis Family of River Denys Road, page 47 (Says 3/30/1978). Religion*: Annie Agnes MacFarlane was Roman Catholic. Miss Annie Agnes MacFarlane (of Margaree Harbour) died at Sacred Heart Hospital, Cheticamp. Daughter of the late John MacFarlane and Annie (McNeil) MacFarlane. Born at Margaree Harbour, March 2, 1887, spent most of her life here except for some years in the U.S.A. survived by 1 brother, Jack at home. Predeceased by two sisters, Martha & Margaret Mary, and two brothers Neil & Johnnie. Mass and burial at St. Michael's Church. Biography*: The 1891 Census lists Ann's age as 13. This is probably a misprint for 3. It also states she could both read and write. Language*: Ellen Hyland spoke English. 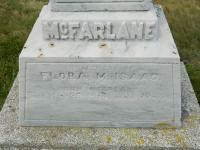 Married Name: As of 25 October 1910,her married name was MacFarlane. [S100] Obituaries from The Casket Newspaper, 1852 - present, Obituary of MacFarlane - Peter J., 77-1929-27-2. [S5] Marriage, Church Record, November 1884 to September 1935 St. Joseph's Church, Margaree, Records, page 94, line 7. [S601] Weddings from The Casket Newspaper, 1852 forward, Peter McFarlane and Margaret Coady, 59-1911-26-8. [S601] Weddings from The Casket Newspaper, 1852 forward. [S1140] 1911 Canada Federal Census, on-line. [S863] 1921 Canada Census, McFarlane #0286. Religion*: John MacFarlane was Roman Catholic. Biography*: The 1891 Canada Census lists John as a seaman. It also indicates that he could read but not write. The family lived in a one story, four room wooden dwelling. Religion*: Murdock J. MacFarlane was Roman Catholic. [S872] 1921 Canada Census, McFarlane # 2480. [S861] Ancestry.com, online www.ancestry.com, http://search.ancestry.com/cgi-bin/sse.dll,%20canada&msbpn=5005&msdpn__ftp=nova%20scotia,%20canada&msdpn=5005≠w=1&rank=1&redir=false&gss=angs-c&pcat=BMD_DEATH&h=1745430&dbid=60527&indiv=1&ml_rpos=5. Name Variation: Catherine Isabel MacDougall was also known as Katie Bell MacDougall. [S709] Diocese of Antigonish, Nova Scotia, Canada , Birth record of Catherine Isabel MacDougall, page 341. [S100] Obituaries from The Casket Newspaper, 1852 - present, Obituary of Mrs. Dougald MacFarlane , 57-1909-19-5. Language*: Christina Ann Wall spoke English. Name-Comm: Her common name was Tena. Married Name: As of 13 November 1894,her married name was MacFarlane. [S9] Births, Church Record, June 1977 to September 1944 St. Joseph's Church, Margaree, Records, page 4, line 9. [S100] Obituaries from The Casket Newspaper, 1852 - present, Obituary of Mrs. Patrick MacFarlane, 104-1955-11-2. [S608] April 11, 1881 Canada Federal Census, 101 Newbury Street, Boston, Suffolk, Massachusetts, USA. [S5] Marriage, Church Record, November 1884 to September 1935 St. Joseph's Church, Margaree, Records, page 88, line 30. [S869] 1921 Canada Census, McFarlane # 0274. Daughter of Andrew & Catherine McFarlane. [S709] Diocese of Antigonish, Nova Scotia, Canada , Baptismal record of Mary McFarlane, page 49. [S212] Obituaries of John and Mary McFarlane, 1/26/1882, Obituary of Mary McFarlane, A1-1882-8-3. [S709] Diocese of Antigonish, Nova Scotia, Canada , Baptismal record of John McFarlane, page 64. [S709] Diocese of Antigonish, Nova Scotia, Canada , Baptismal record of Donald MacFarlane, page 2. [S100] Obituaries from The Casket Newspaper, 1852 - present, Obituary of Donald MacFarlane, 8-1860-12-3. [S709] Diocese of Antigonish, Nova Scotia, Canada , Baptismal record of Flora MacIsaac, page 377. [S238] DOF - Aug. 13, 1914, McIsaacs, August 13, 1914. [S100] Obituaries from The Casket Newspaper, 1852 - present, Obituary of Mrs. John MacFarlane (Flora), 62-1914-22-5.